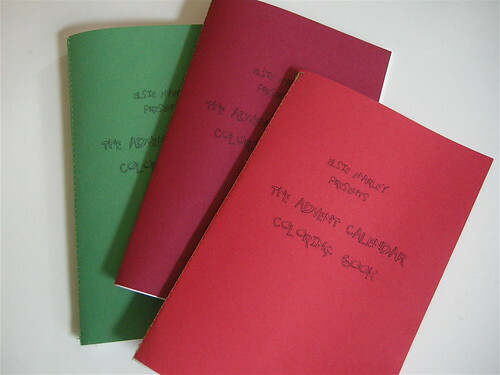 elsie marley » Blog Archive » advent calendar coloring book! I am super excited to tell you about this project. After much help from my computer genius of a husband, you can now buy (for the super cheap price of $2.50) and download my Advent Calendar Coloring Book. Then check “make advent calendar” off your list. Done and done. All the pictures were drawn by yours truly and I had a fine time doing it. We all should draw more often. And color more often too! Because of course after making a coloring book, I had to break out the crayons and pencils and color! My daughter, who is my little tester, has colored three whole books already and advent hasn’t even begun. And really, you could print out a coloring book a day for advent, instead of coloring one picture a day. My kids are coloring fiends, so that much coloring wouldn’t be unheard of. And of course you don’t have to use it as an advent calendar, but just color all the christmasiness to get in a happy holiday mood. And as a special treat, I am going to have a page to print out and color everyday for advent on my blog. So be sure to stop by tomorrow for the first one! 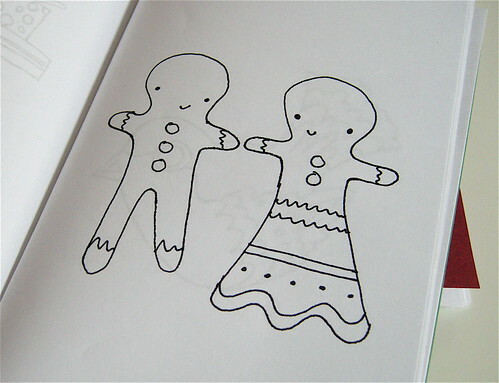 Posted in advent calendar coloring book. 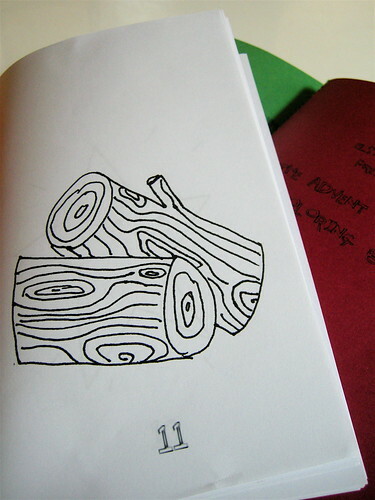 12 Responses to advent calendar coloring book! LOVE. Though it’s safe to say I love all of your ideas. Happy Holidays! you are awesomeness in the form of magic pdfs, crayons, and paper!!!!! and how can i not embroider some of these while lily, eme, and cate color away? you are the best…thanks!!! seriously, i am getting so spoiled for the instantaneousness (word? or not?) of a pdf. so cool. wow! it’s so good, i’m in a festive-y kind of a mood just looking at them. and embroidering as per Cathy’s comment them is a wonderful idea, gild the liy! yay! I really hadn’t thought of embroidery, but it’s a damn good idea. I might have to put it on my list! I thought of embroidery right away, too… Adorable. I need a new box of crayons! yay! This is wonderful. 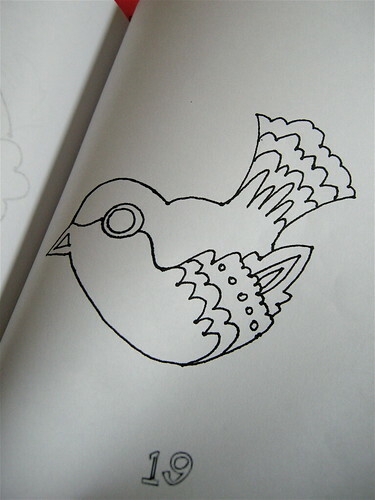 I love the idea of a coloring book advent calendar. So very clever, you! Thank you!! This is awesome! thanks for sharing, this. it’s so very lovely. coloring is now in progress. Meg, this is by far the best idea I have seen for an advent calendar. I am often sewing up little blank books for my kiddos to write and draw in and have made coloring books for party favors–but I would have never thought to do it as an advent calendar. Brilliant!